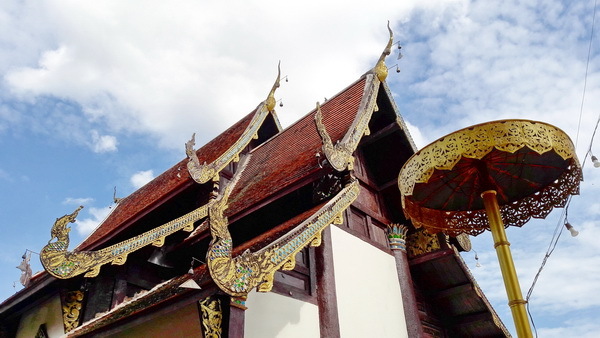 Mae Jam is a county in Chiang Mai, which there are many tourist attractions than you can imagine. 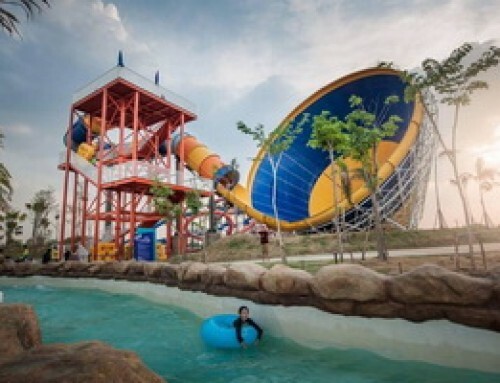 If you happen to get a series of holidays, you probably want to book a plane ticket and then head for Chiang Mai, just to visit Mae Jam and spend at least one night there. Well, now you must have these questions in your head, ‘What is so good about Mae Jam? Why should I go there? Are there something interesting in Mae Jam?’ The answer is, ‘There are many good things in Mae Jam, of course.’ You will never be disappointed in any of these for sure. 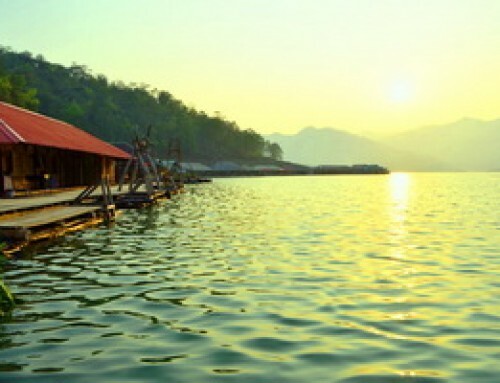 Let’s see what you can admire and do, in case you spend a night in Mae Jam. Mae Jam is a village surrounded by rice fields. Popular with tourists and photographers who like to capture the image. Plenty of mountains and forests. If you come in the morning. Meet the mist and warm morning light, but if in the evening can watch the sun and beautiful evening light. Sneak through the clouds. Impressed by the gorge of the intricate valleys, the pictures are spectacular.It is also one of the most popular winter destinations for tourists who love the richness of mountain forests, surrounded by green corn stairs, mixed with turquoise morning mist. Include paddy fields, stepping stones. In addition to the beauty of these steps. And in the winter is also another point to admire the beauty of the mist. 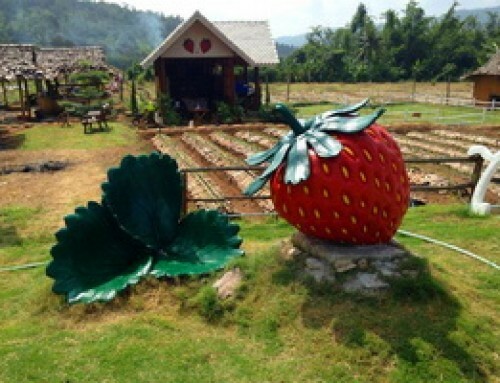 Ban Pa Bong Piang :This one is known to be the most beautiful decending farm in Thailand, as it is located on mountaintop. You can go up high and see stunning scenery around. Beside, you can even spend a night if you want to. Just pay 500 Baht per one person. 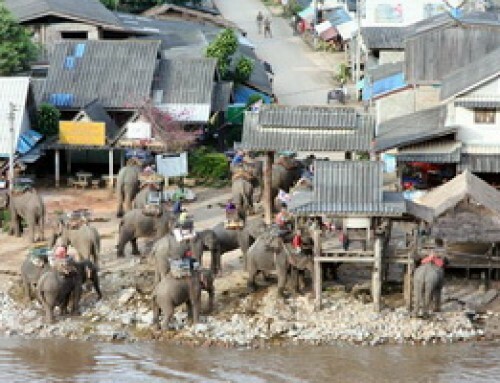 Ban Bon Na : This farm is in fact a small village. Its farm is not very steep, but is quite large. 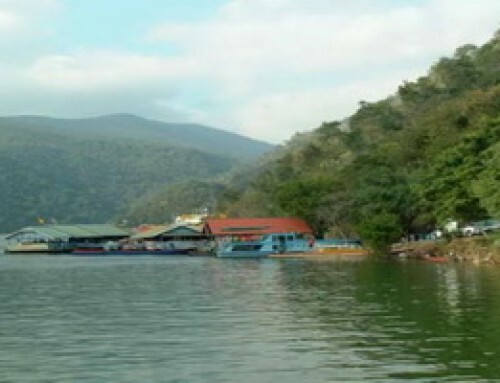 Ban Teen Pha : By visiting this one, you will have a chance of finding a village of S’Kaw people, which is an ethnic group. Moreover, you can wander around and see various kinds of plants grown there. 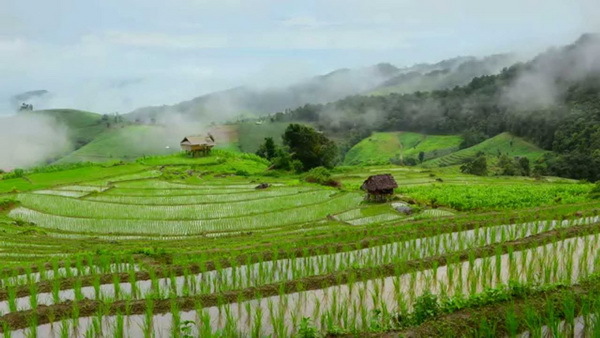 Most of these descending farms grow rice, but they also grow other kinds of plants, like fruits and vegetables. If you want to see lifestyles of Thai agriculturists and learn about their works, you should never miss these farms. Exquisite painting of the beautiful scene of the Step Rice Field at Mae Jam. The Rice Terraces are much prettier after the rain, as the morning fog is clearing or while rice is being harvested. If you like to paint or photograph dramatic, beautiful landscapes. 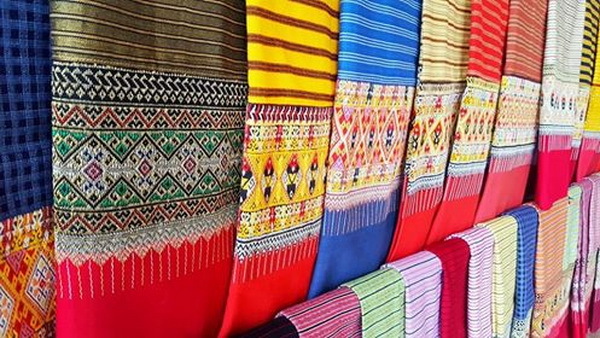 For your information, Sinh Fabric is a kind of traditional fabric, which is quite populare among Thai women and Lao women. 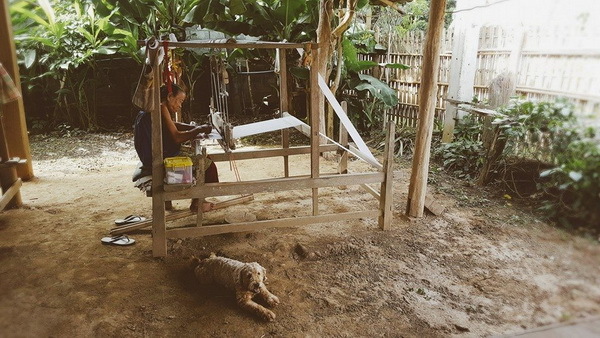 And, Mae Jam is well-known for weaving such beautiful and valuable Sinh Fabric. 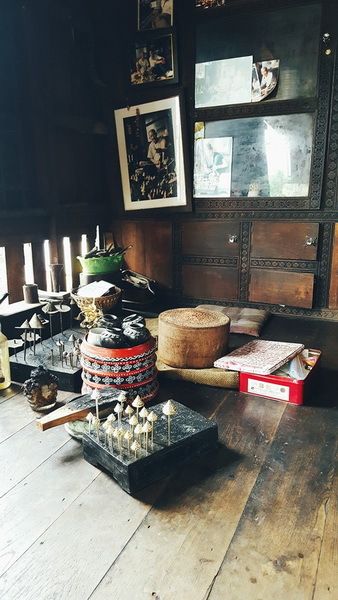 Therefore, if you have a chance of visiting Mae Jam, you should first see a Sinh Fabric village. You can choose to visit any of these, or you can visit them all if you have quite enough time. All Singh Fabrics in Mae Jam are really gorgeous. They are true art, to be precise. As soon you see them, you will definitely fall in love with them so much that you may want to purchase some. After all, Sinh Fabric is a valuable handicraft that deserves preservation forever and ever. 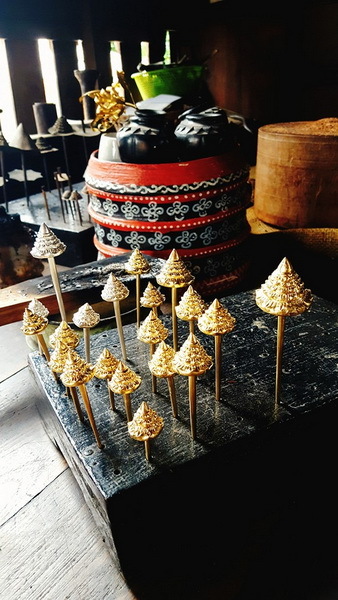 In nearby Ban Thap, near Wat Ban Thap, craftsmen produce Pin Thong Luang, the brass hairpins with which women fix their hair into buns on festive occasions. To the northwest near Wat Kong Kan, villagers in Soon Duan Ru Hom Kram Fai Phrak Mai grow the leaves they use to dye thread indigo to produce the moh hom shirts worn by farmers and fashionable outsiders. 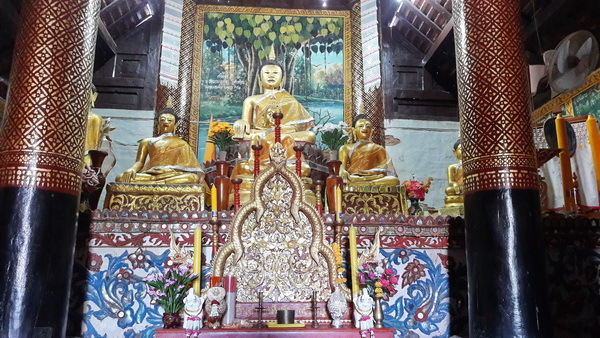 Wat Pha Daed : You should see all marvellous murals inside, which tell the stories of Buddhism History. All murals were drawn by a skilled Shan artist named Tam. The Wat Pa Daet complex is an interesting collection of unique buildings. However, its not until you go inside that its true glory unfolds. The walls are adorned with elaborate, pastel-coloured scenes of everyday life in the region, including ploughing, sowing, reaping, religious processions, and royal palace life. Wat Yang Luang : The most outstanding part of this monastery is ‘Koo Prasart’, which is located just behind the principle Lord Buddha’s statue. 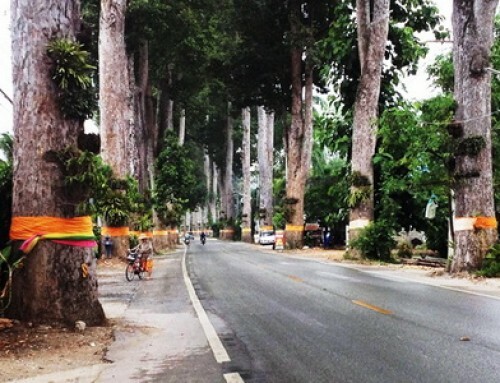 People believe that ‘Koo Prasart’ is a gate that lead us to heaven. 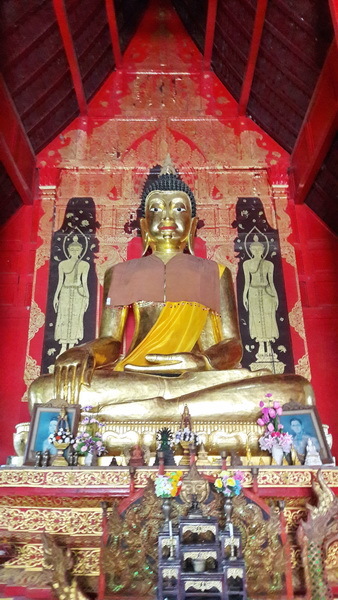 As you enter Wat Yang Luang through the entrance gate, the first sight that greets you is the large-scale painting of the Lord Buddha and two disciples on the outer wall of the viharn (assembly hall). 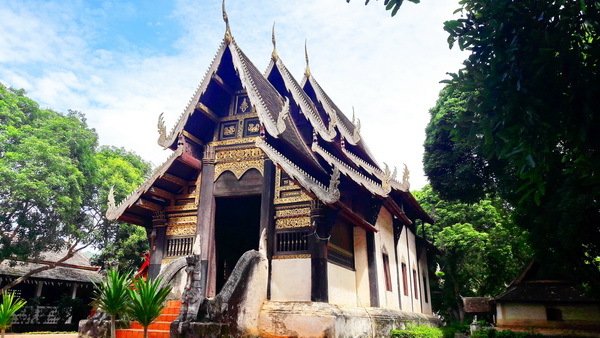 The viharn dates back to 1877. The temple is beautiful, and set in the midst of verdant rice fields that stretch toward the distant hills. Exterior doors are richly decorated with mythical animals, and the interior houses a large Buddha image. To the right rear of the principle Buddha statue is a white stone Buddha reputed to be 500 years old, with a wall painting in white on black of a seated Buddha. 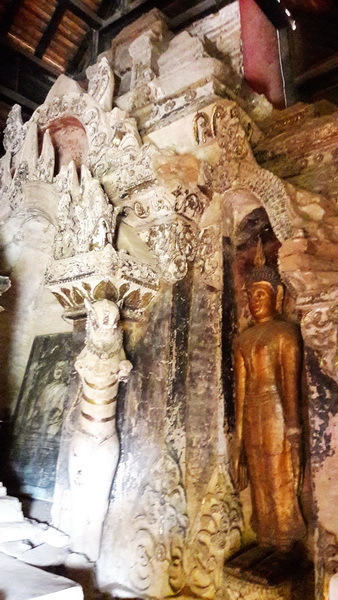 On the left side of the large Buddha statue is a bronze image of a standing Buddha. Wat Phuttha Eoen : (or Wat Buddha-En as per the sign) was built in 1868. Its dominant and almost unique feature is that the bot / ubosot rests on wooden piles in a lotus pond. 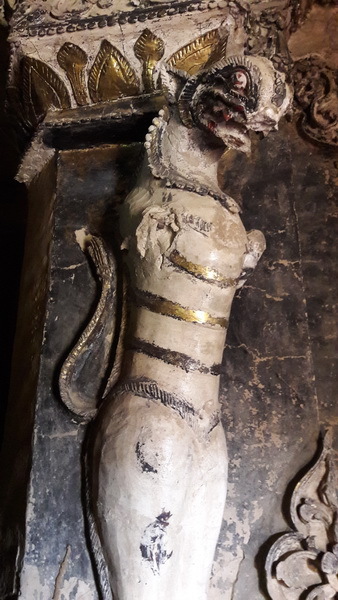 There are elegant teak serpents (naga), running along the base. The temple dates back to 1868. 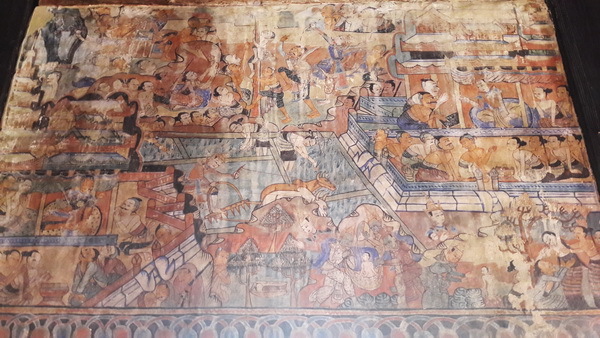 The primary viharn’s murals illustrate the Chadok the last ten lives of Lord Buddha prior to enlightenment. Also featured are elephants and lacquer decorations on the tree-trunks that support the entrance holding up the portico. 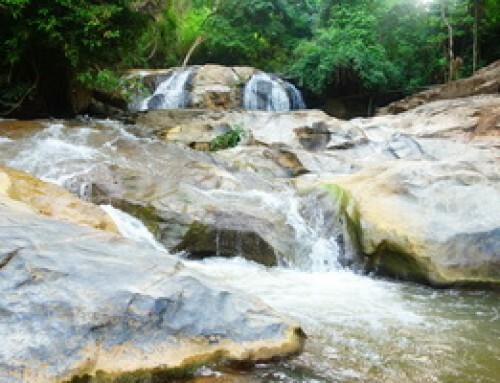 Mae Aok Hue Waterfall : Or a water source flowing out of natural dirt hole, is one of the most famous tourist attractions in Mae-Jam. 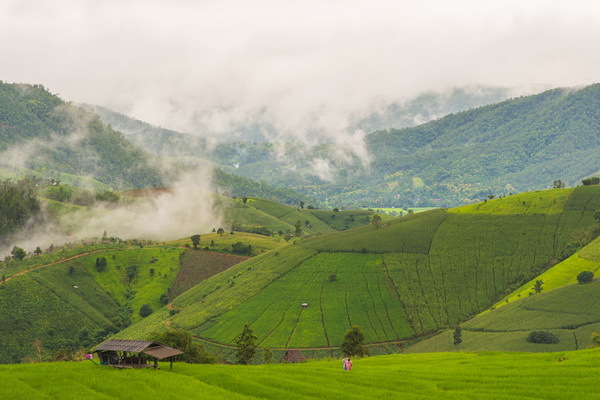 In fact, it’s an ‘unseen place’ of Chiangmai Province too. 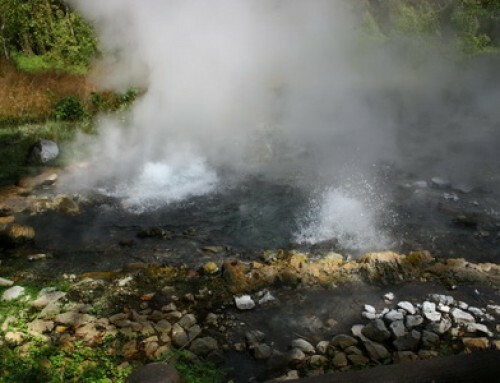 Now, it’s very popular, due to the very clear and cool water this year. It’s something like a flawless gift from nature. 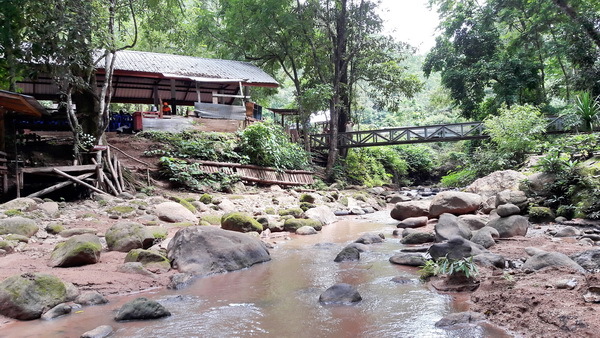 If you don’t know where to go on your holidays, but you want a leisure picnic near a water source with your family, then don’t hesitate to go to this place. However, the best season to go to Mae-Jam for rice terrace seeing is somewhere during September to Novembe, in every year, of course. In order to get to Mae Jam County, driving is the most convenient way. 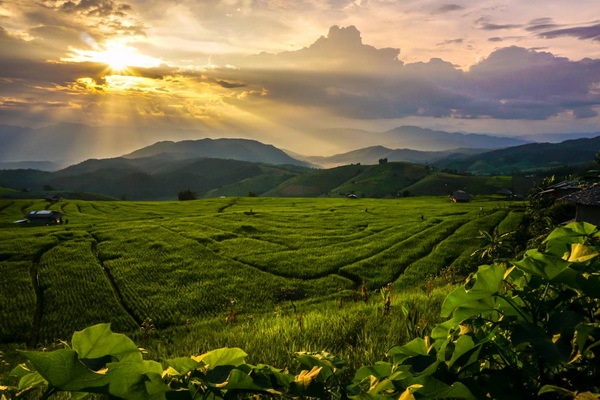 If you have a car, you can start your trip by following the route that leads you to Doi Inthanon. Just find the sign written ‘Doi Inthanon’ in Jom Thong County and turn to that direction. 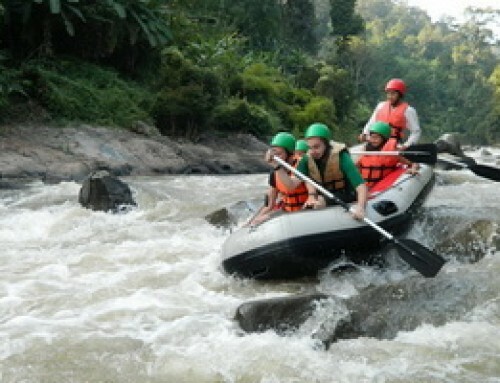 Keep going until you pass Mae-Klang Waterfall and Doi Inthanon National Park. Not so long after that, you should see the sign written the direction to Mae Jam. Yes. Just follow it. There is another route to get to Mae Jam. Beside of the first one, you can start your trip from Hod-Mae Sariang in Chiang Mai downtown. Get ready at the airport intersection. 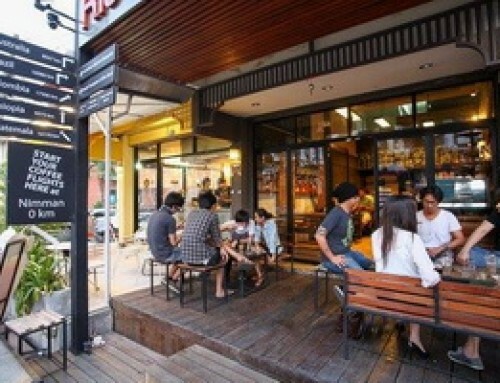 Then drive along Chiang Mai-Hangtong Road before reading Hod Market. Be carefule at this point. Try to notice a traffic circle and a clock tower. As soon as you find these, just drive around the circle to your right side. Then follow Hod-Mae Sariang Road again. Finally, you will see the direction to Mae Jam.